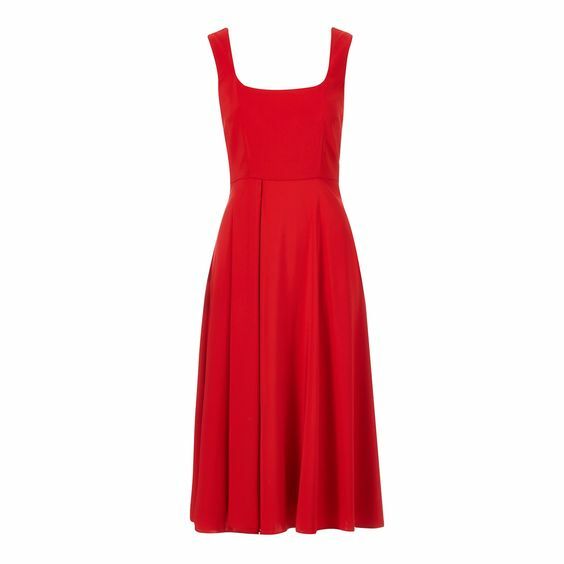 You can currently get the red version of this dress (as seen on Kate) for 40% less at Net A Porter in the USA. 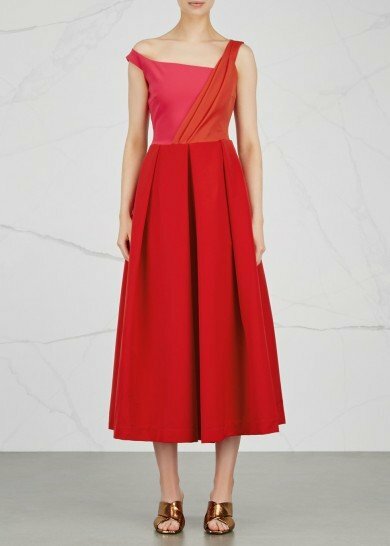 In 2016, the Duchess of Cambridge (Kate Middleton) wore the Preen Finella dress to two different events. She debuted the red version of the dress during day three of the Royal Visit to Canada, back in September. 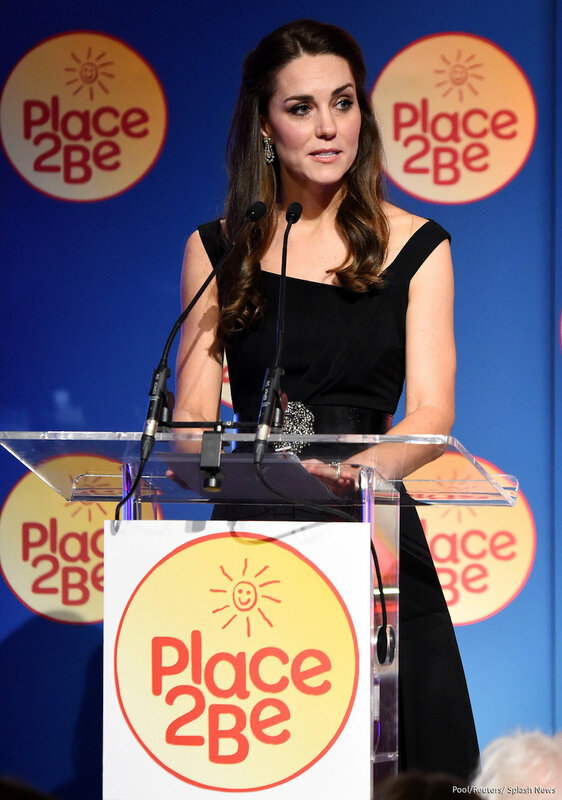 Just two months later, she chose the black version of the Finella dress for an awards ceremony hosted by the charity Place2Be. 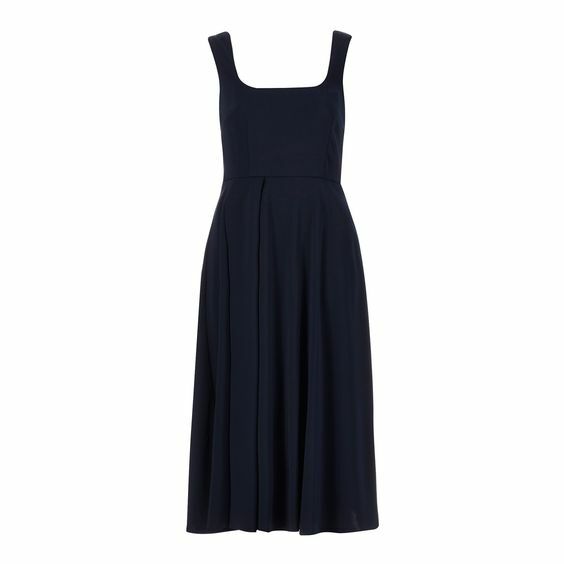 The Finella dress is made from stretch crepe fabric. It features a draped bodice, nipped-in waist and box-pleated skirt. 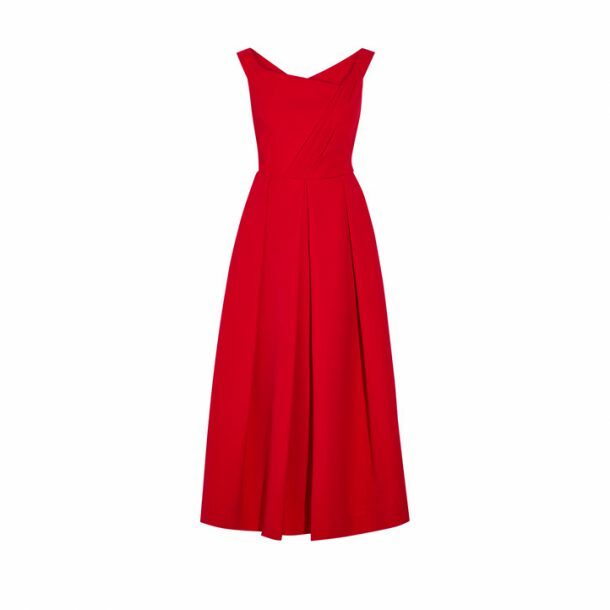 Net-A-Porter calls the red version of the dress an “elegant choice for your next event”. They describe it as having “a shoulder-framing neckline” and “a fitted, draped bodice that falls to a voluminous box-pleated skirt”. 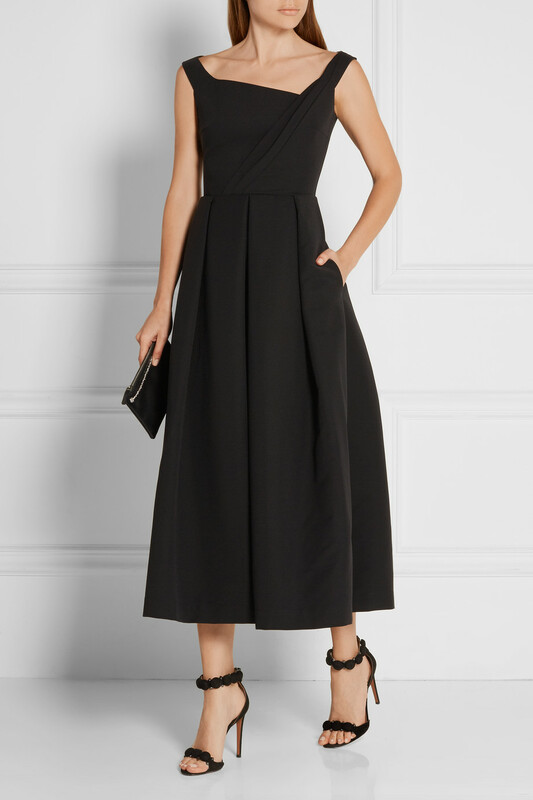 Meanwhile, the company say the black Finella dress has an “ultra-flattering, elegant silhouette”. 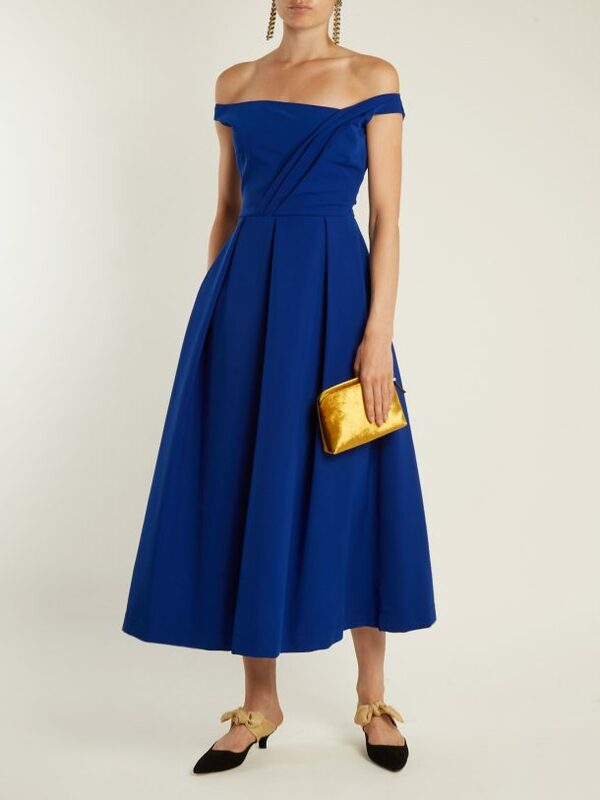 The dress is made in the UK. 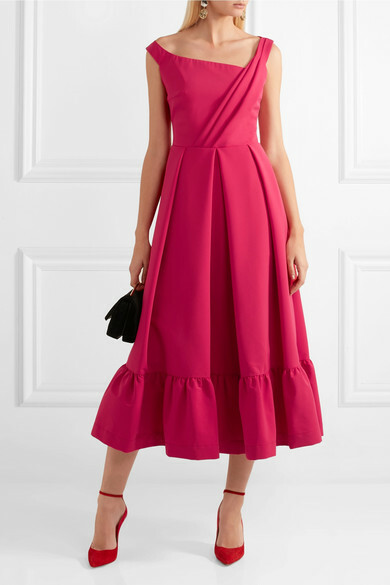 Preen sells a second, very similar dress, which comes in fuchsia pink and indigo blue. 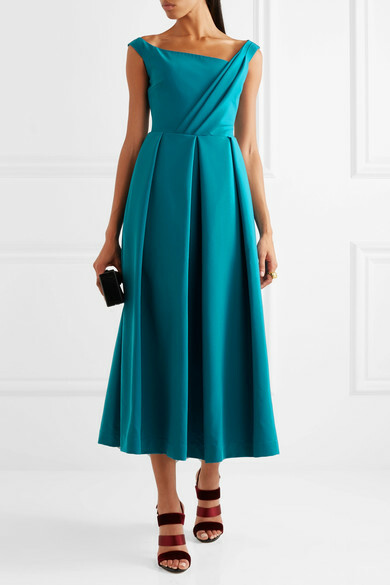 It’s called the Palmer dress and it’s exclusive to Net-A-Porter.com. 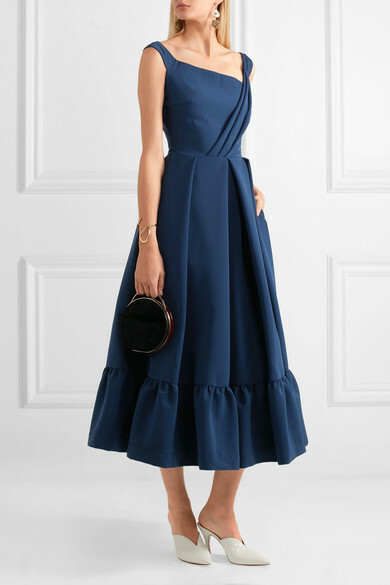 It’s the same as the Finella dress, but it features an additional ruffled panel along the bottom of the skirt. The dress costs $1,570 USD. Preen sell a diffusion line of clothing at Debenhams called by Studio by Preen. 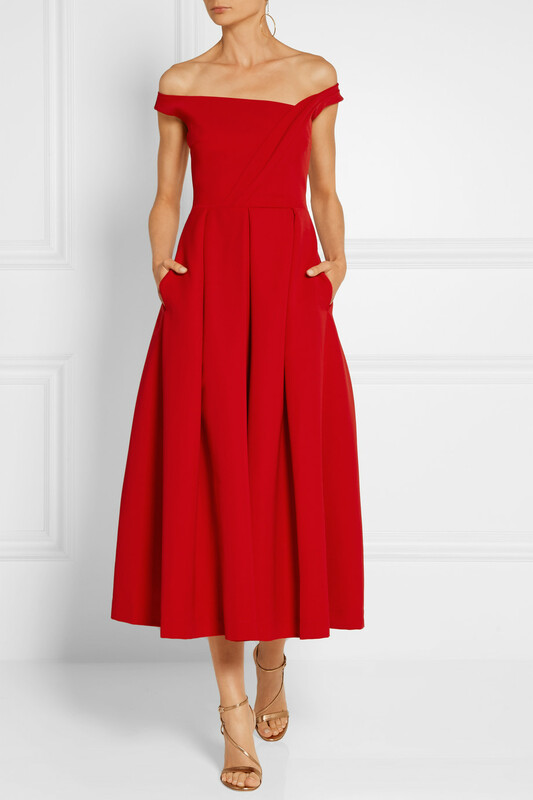 They have a red and a navy dress in stock that might make an affordable alternative to the Finella dress if you’re looking to copy Kate’s style for less! The scoop neck midi skater dress is priced at just £69. The article goes on to explain that Fenwicks stocks a pink version of the dress too. The company is run by husband and wife team Justin Thornton and Thea Bregazzi. They are British and based in London.